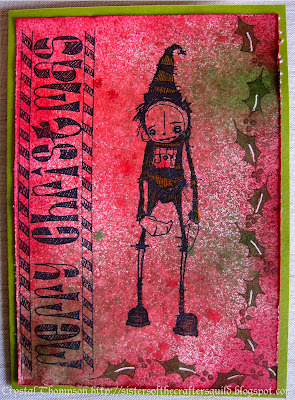 Jessi says, "This Hero Arts sentiment stamp is one of my long-time favourites...I bought it from Ebay probably ten years ago? 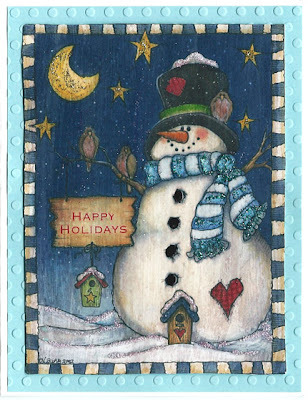 I think it was the stamp that initially inspired me to add some bells to a card. I also wanted to use some of the multi-coloured bells, and some of this Crate Paper patterned paper - that I got on clearance last month. In my little town - I was so excited! 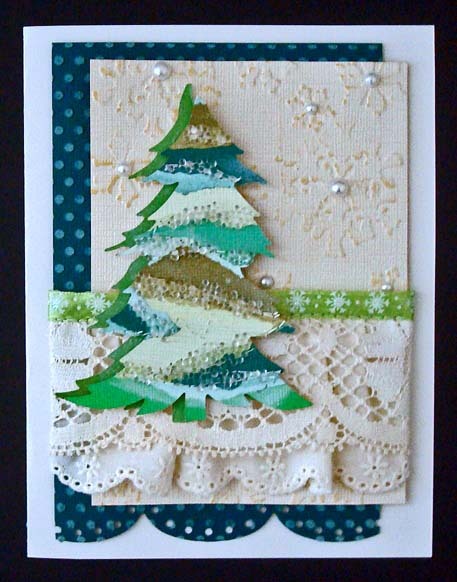 Bright, colourful, cute, and sparkly Christmas cards really are my favourite to make." 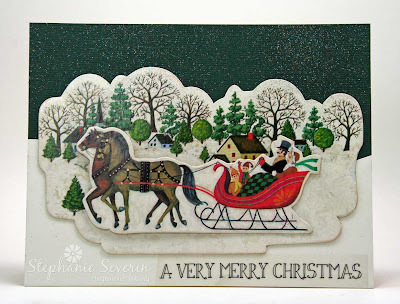 Lauren says, "It wasn't until I started making cards for this prompt that I realized how *few* sleigh images I have in my Christmas collection... I think I need to change that! Luckily I found this great Anna Griffin dimensional sticker, which is big enough to be the focal point of a card. Teamed up with a music-printed journaling card, some miscellaneous papers, and a pretty golden diecut sentiment, I kind of love the traditional style of this one!" 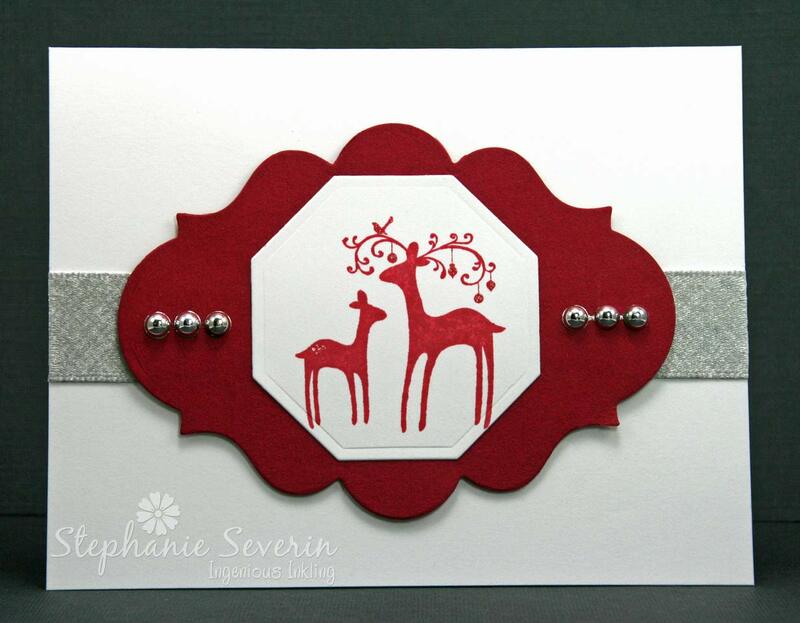 Stephanie says, "Since I went with the sleigh last week, I knew I wanted to incorporate at least one of the other elements in this week's design. 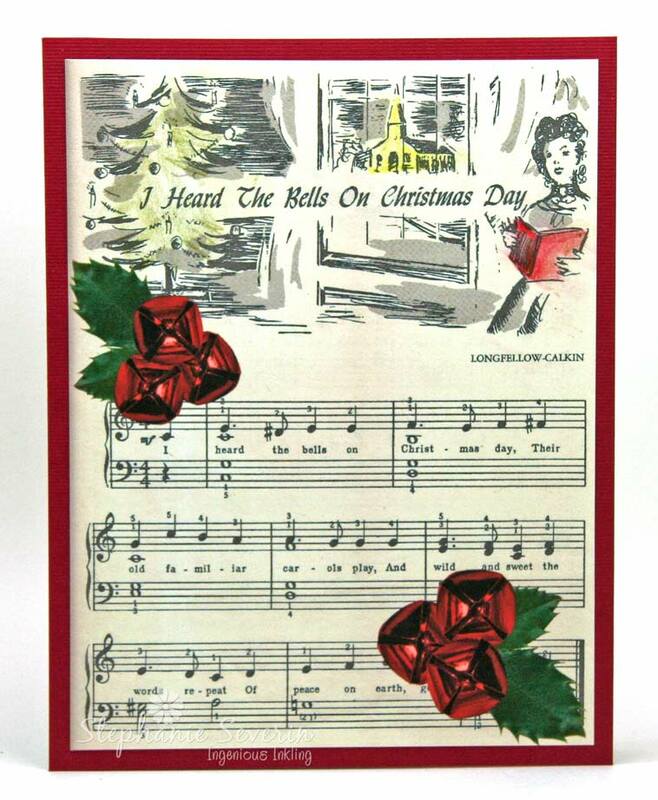 I went searching through my vintage holiday sheet music collection and found this great page ... which was much too large for a card ... so I scanned it, keeping all of the wonderful aged paper color, and sized it for my card front. 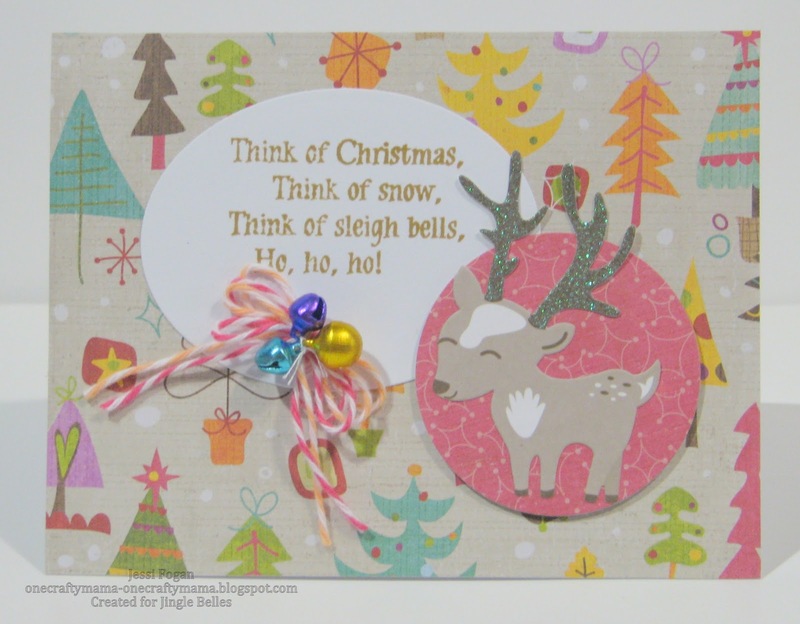 I added some fun digital Jingle Bells Holly embellishments before printing, and then added colored pencil accents to the illustration (I'm sure there's probably a sleigh outside the window)." 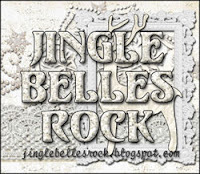 Today at ♥JINGLE BELLES♥ we're thrilled to welcome the very talented, and very funny, Jessi Fogan, as our lovely guest star. You may recognize her as the author of the most wonderful comments to her fellow bloggers, or as part of the design teams at Tuesday Morning Sketches, Drunken Stampers, and Shopping Our Stash! She is also the mother of two teenage boys, so you can usually find her hiding at her desk or behind a book. 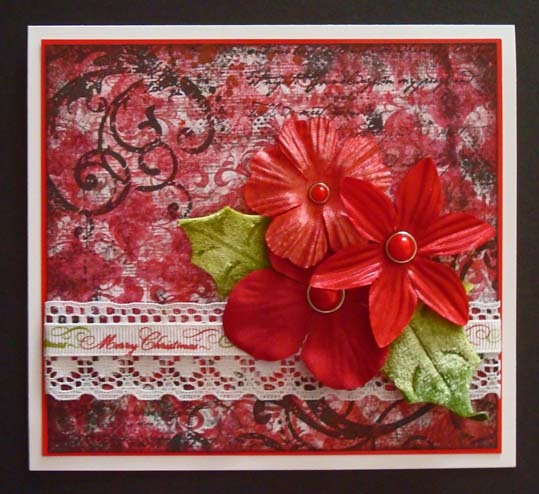 Be sure to check out the gorgeous creations on her blog, One Crafty Mama; you're in for a treat! 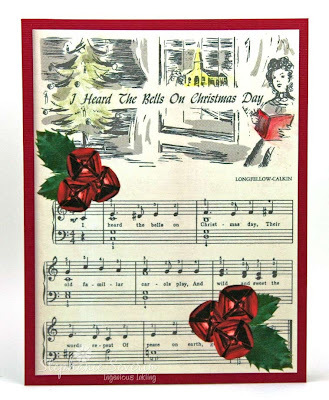 Jessi says, "I've been addicted to using bells on my Christmas cards for years - the super-tiny ones always get lots of oohs and aahs. The idea for this card grew out of my desire to use this hoarded soft aqua glittered bell - and some of my crochet mats, to whet your crafty appetite for that prize :) It didn't take too long to decide to add a never-inked Unity Itty Bitty set and to stick with a monochromatic palette to make this a soft, pretty, and yet trendy Christmas card!" 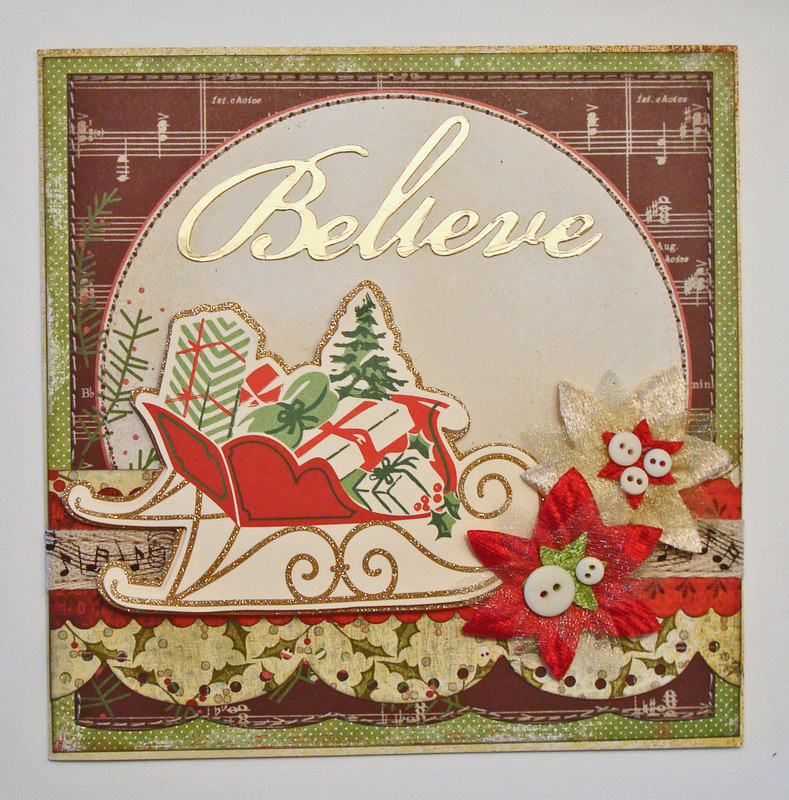 Stephanie says, "I went with the sleigh-theme of this week's challenge. 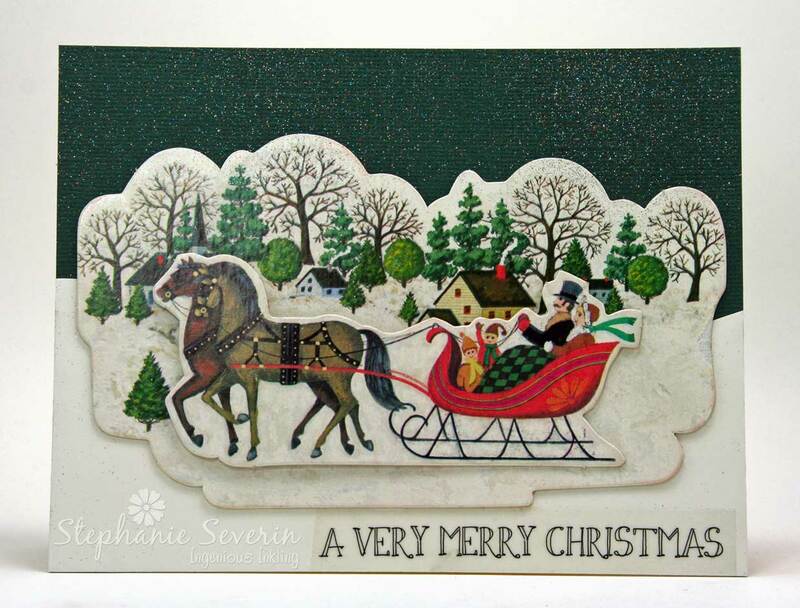 I had this vintage sleigh in a stash that I found in a batch of cards I picked-up at an estate sale. I carefully removed it from the aged card base and adhered it to my snowy landscape cut from ivory cardstock with an SRM Sticker Sentiment. I finished with a coat of glitter spray to add some sparkly stars to the night time sky." 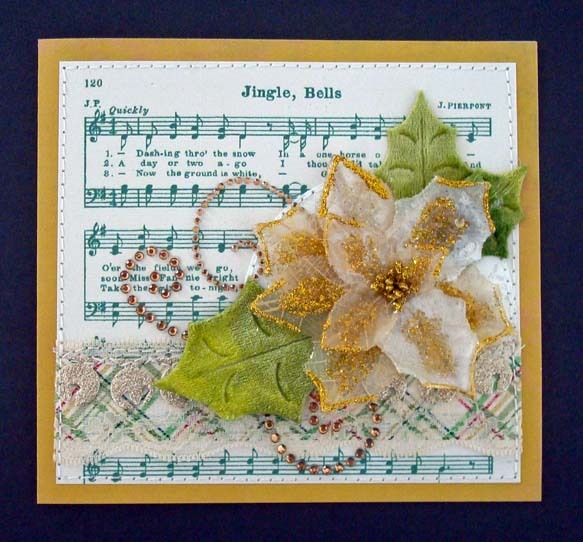 Lauren says, "I've got two out of the three elements in my card this week: the sheet music, obviously, (which is digital, from the "Christmas Shopping kit by Polka Dot Pixels) but I've also got some glittery diecut jingle bells in my border strip just beneath that large and super-sparkly Prima poinsettia. The latter are a bit subtle, but I think they are kind of cool. Maybe next week I'll try to work in a sleigh, too?!" For a shot at the prize AND to be one card closer to a stress-free December, link up your "Sleigh Belles" card between now and 6pm (EST) on Wednesday, July 31st. Keyword for galleries and our flickr group is JB:13:15. Yes, you were rockin' the Cardstock ... we loved seeing all of the creative ways you used cardstock in your holiday card designs. embraced lots of fabulous inky sprays together with wonderful stamping ... and you've got to click through and see the sentiment on the inside ... it made us snort (in a good way). showed that it only takes a few special elements (unexpected shape, textured embossing, ink sprays, and touches of glittery sparkle) to turn cardstock into a holiday masterpiece. 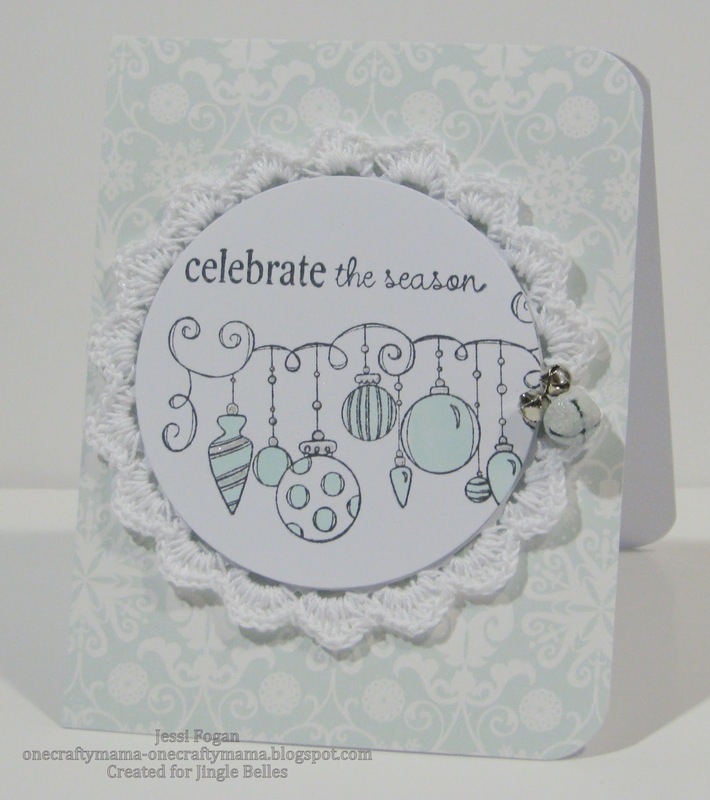 showed us perfect execution of a clean and simple cardstock design ... love those sequin ornaments and how she used the negative die cut space and layers. Make sure you take some time to wander through the gallery of cardstock masterpieces and leave a little jingle belles love ... and join us a midnight for another fun card prompt ... and a talented lovely guest star ... and maybe even a little prize. Lauren says, "Writing the description of my card last week, I realized that I've fallen into the habit, in cardstock challenges, of nearly always relying on texture to replace pattern. Which isn't a bad thing, necessarily, but it was starting to feel a little predictable. So this week I decided to burst definitively out of my comfort zone and get inky! 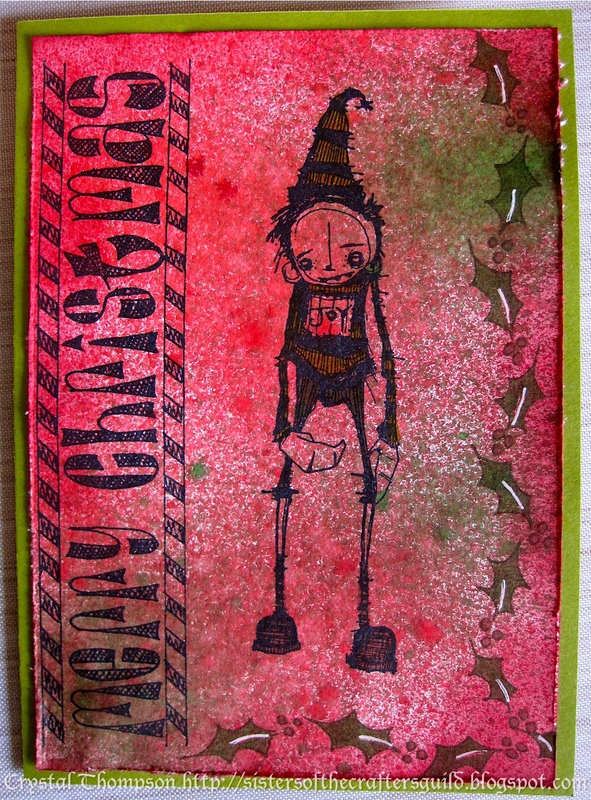 To make my grungy background I used 1 mask, 3 mists, 5 inkpads, and 9 or 10 different stamps in a frenzy of layering that was waaaaaaaaaay too much fun. 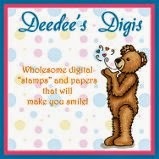 Patterned paper? No, thanks, I'm ok without it, lol!" Stephanie says, "Since going *inky* is usually my go to technique for cardstock, I decided to switch it up this week as well and create a clean & simple design. My sweet little Deer Family were stamped in Rhubarb Stalk Momento ink, die cut, and matted on a coordinating cardstock die cut. A touch of silver ribbon, touches of silver glitter pen on the ornaments, and a few silver ball embellishments, and my clean & simple design was done." So whether you go inky ... textury ... or even clean & simple ... just break out your cardstock collection (we know you have one) and have some fun. Cards should be linked-up by no later than 6pm (EST) on Wednesday, July 17th. Today we're asking you to step away from the designer paper ... yes, put it away ... none allowed ... not even a scrap ... because the next prompt is to create a card using only cardstock. 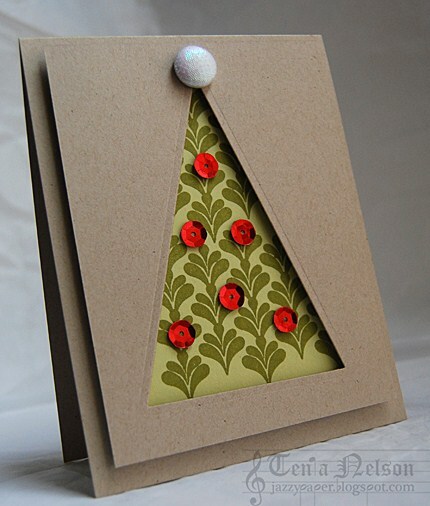 You can tear it, ink it, stamp it, spray it, emboss it ... but stick to only cardstock for your holiday card design. Lauren says, "As soon as you take color or pattern away from me (my two favorite elements!) I start amping up texture. In this case, that meant tearing, embossing, sanding, misting and embellishing as many different Core'dinations cardstocks as I could find in white, cream, and green; then piling lace, ribbon, micro-beads and pearls on top of that! 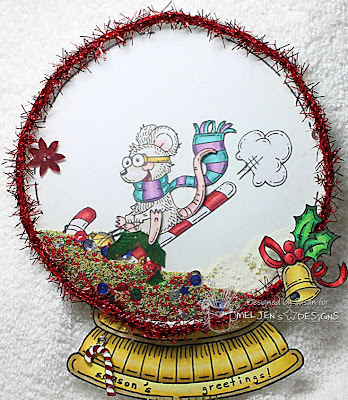 I used a combination of machine stitching, foam tape and fast dry tacky glue to assure that all my layers STAY layered; and last week's Retro Sketch to insure that they were all in the right place!" Stephanie says, "When I hear cardstock, I think of INK ... all kinds of ink. 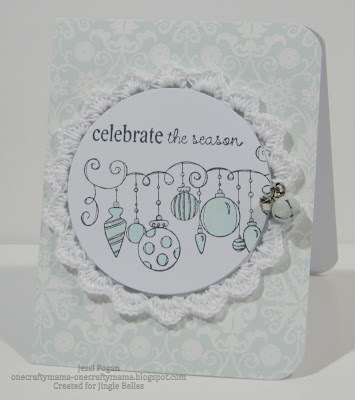 For this card I stamped an Ornate Snowflake repeatedly in Versamark on White cardstock & clear embossed. Next I sprayed on Frost & Dragonfly Glimmer Mist for all over color & sparkle. The same snowflake was inked with Peacock Feathers Distress Ink and stamped on the blue sprayed paper before embossing & detail cutting. I attached it with a 3-D glue dot and added a pearl. 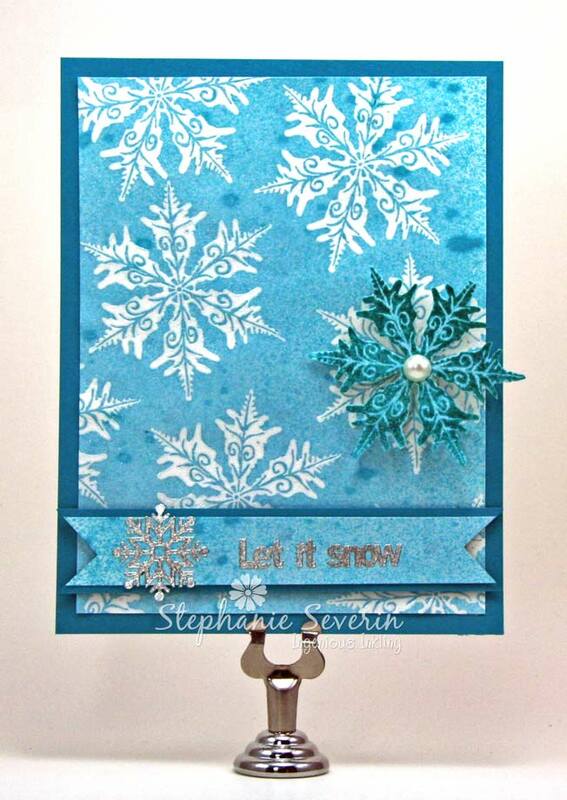 I finished with a Peel-Off sticker sentiment & snowflake on another scrap of the over-sprayed paper." 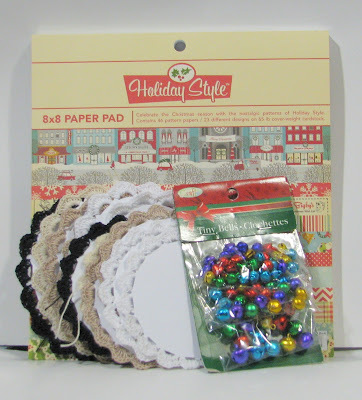 So break out the cardstock ... whole sheets or scraps ... and get festive. We can't wait to see what you create. Cards need to be linked-up by no later than 6pm (EST) on Wednesday, July 17th ... use keyword JB:13:14 for our Flickr Group and other galleries. showed that with just a few little touches (glittery sparkle, epoxy texture and a perfect little rub-on sentiment) you can turn a pre-colored digital image into a sweet little hand-made design. turned her sweet little digital image into a interactive shaker snow globe ... love the look on his face as he rides his candy cane sled. added wonderful extra touches to her digital holiday quintet ... love the texture & dimension on their fun holiday hats and birdie wing ... great coloring too. Many thanks to our lovely guest star, Gina Cunningham, for joining us this fortnight! Make sure you check out all of the other fabulous digital design by taking a stroll through the gallery ... and check back at midnight for another fun Jingle Belles prompt.